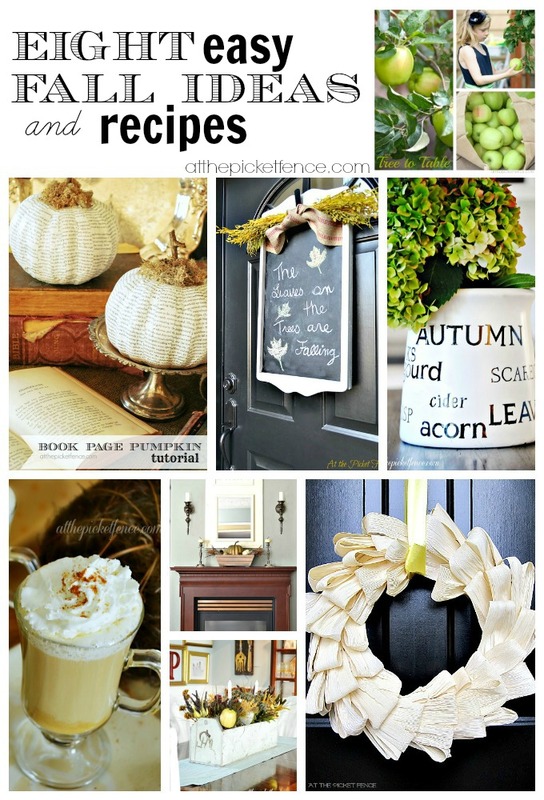 Eight easy fall ideas and recipes! Leaves and pumpkins. Cider and Hot Chocolate. Sweaters and Blankets. Bonfires and Marshmallow Roasting. We know Labor Day is a celebration of the last days of Summer…but frankly we are ready for FALL! We thought we’d inspire you to get ready for autumn as well, with a round up of Eight Easy Fall Ideas and Recipes! Corn husks aren’t just for tamales! 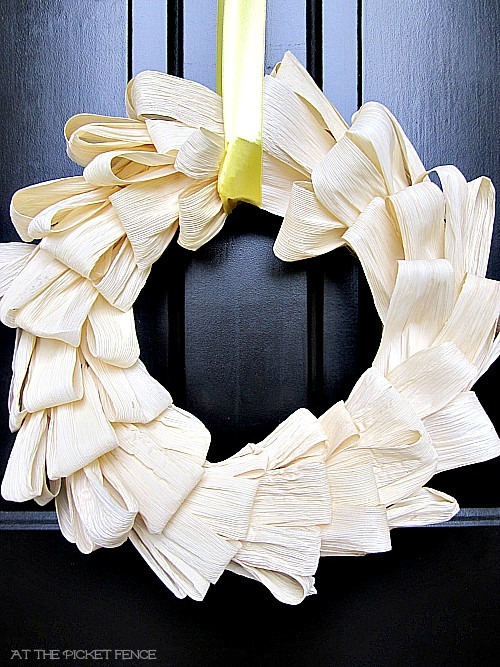 Here’s a fabulous use for them…a Cornhusk Wreath! These Book Page Pumpkins are easy and elegant and inexpensive when using dollar store foam pumpkins! Fall is a fabulous time for decorating! 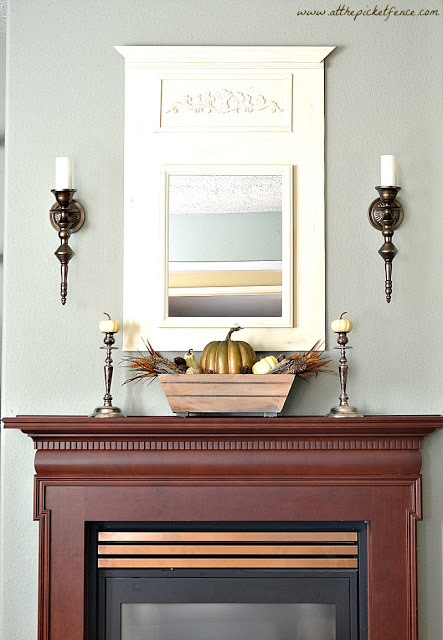 Here’s some simple and sophisticated Fall Mantel Ideas. 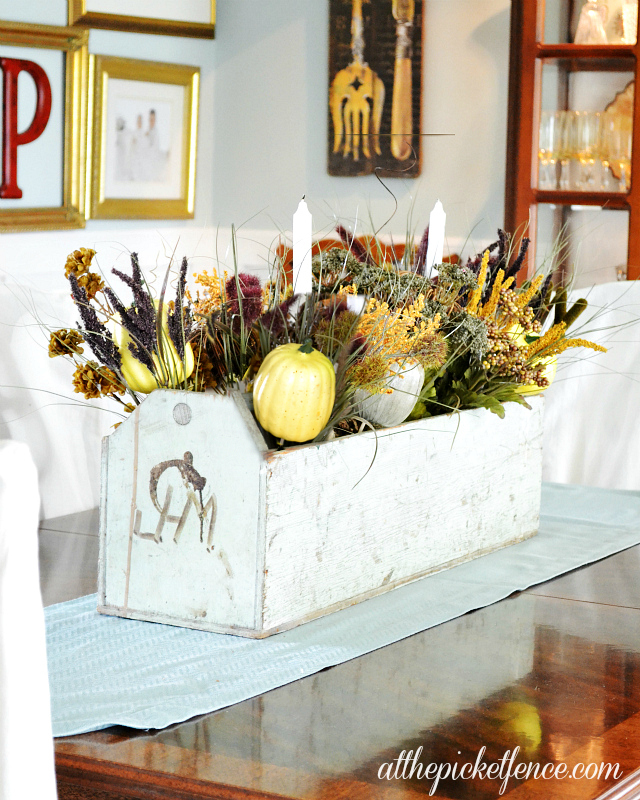 It’s fun to use vintage items in new ways, like filling this vintage toolbox full of Fall goodness! 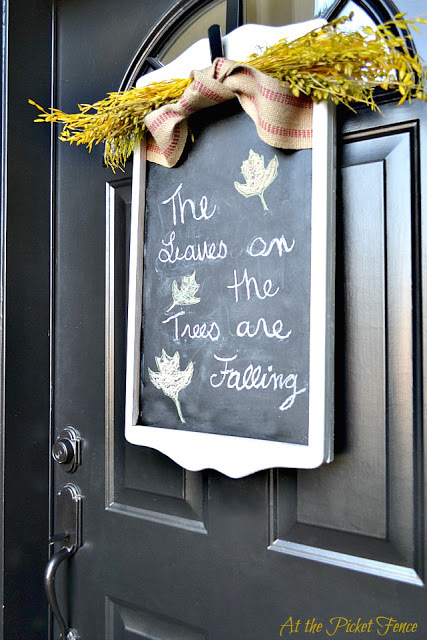 Thrift stores are great places to look for items to transform into holiday decor, like this Thrift Store Door Decor! Fall has so many words to describe it! 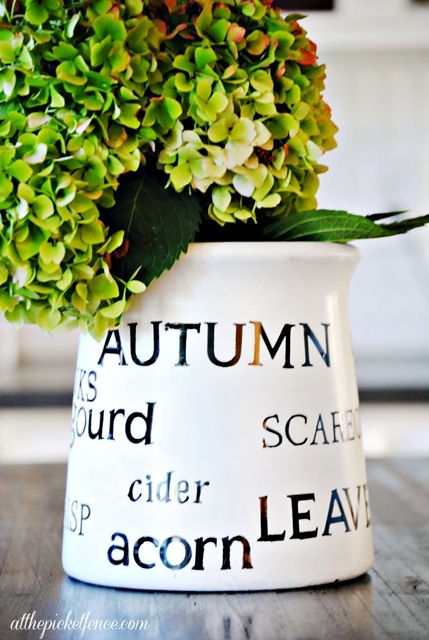 How about creating a DIY Stenciled Fall Jar to share them! Here’s some great fall recipes to get you in the mood for warm soups and crisp cool evenings! 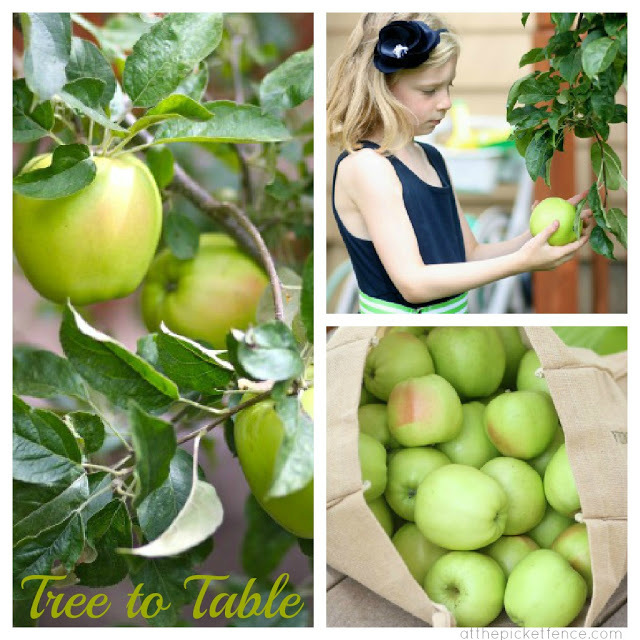 Julie, is showing us how to take our Harvest from Tree to Table in this round up of recipes and party ideas! 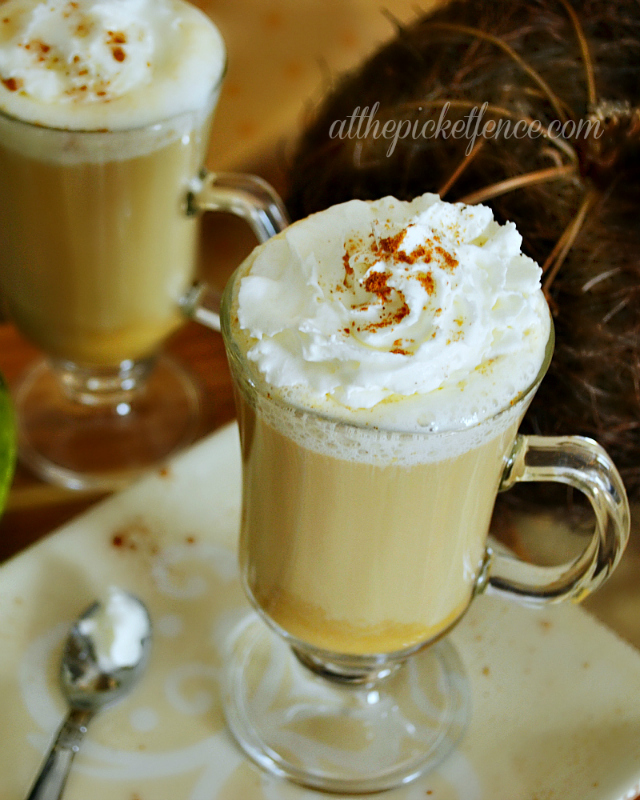 How about wrapping up a fall evening dinner with a homemade Pumpkin Pie Latte! For more Autumn ideas to inspire you, visit our Autumn Page! We hope you have an amazing Labor Day with family and friends, whether you are relaxing at home or celebrating somewhere! We’ll see you back here soon…at the picket fence! For another great round up of Fall Ideas visit our friend KariAnne of Thistlewood Farms! 8 Comments on "Eight easy fall ideas and recipes!" Great ideas! I’d love to try making one of those pumpkin pie lattes this year. 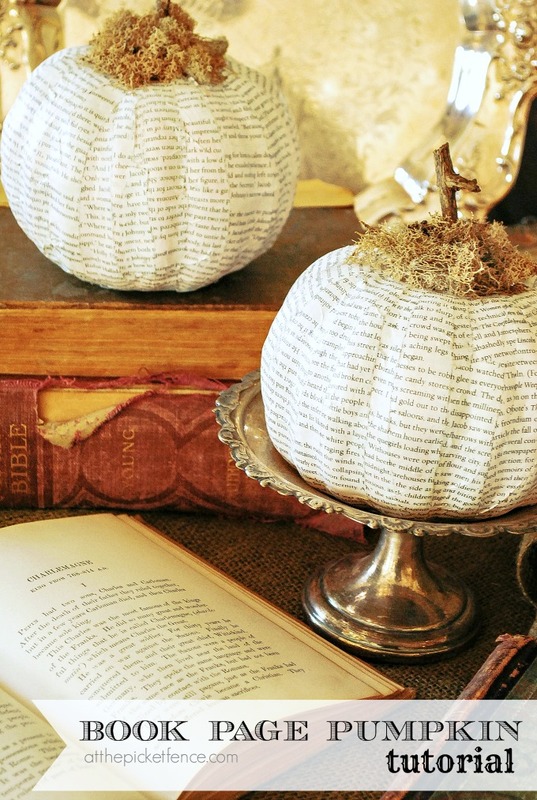 Love the book page covered pumpkins. Thanks for the shout out rock stars!!!!!!!!!!! Love all the fall ideas….but love you way more! Great ideas! I am always stalled by the warm weather we have through Sept but I am determined to enjoy my Fall decor for longer this year so have committed to finishing it in September (instead of scrambling in October…LOL) ….great inspiration to get moving!!! Some really great ideas here. I really like the pumpkins and that cornhusk wreath. I am so glad that fall is coming, it’s my favorite!! What great ideas and inspirations! I am definitely going to have to try some of these! Thanks! Dang it, I didn’t win that gorgeous wreath! lol This is a great round up – I adore those book page pumpkins! Pinning! Fab ideas! I love the book page pumpkin DIY!! Great roundup!